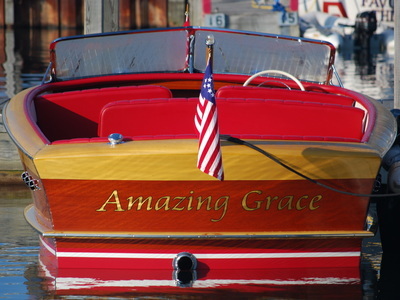 Boat & Yacht Designs that Interest Us . . . and Inspire You? I love this design with the Model T-style convertible top and the rumble seat forward. You don't see those features too often (ever?) these days but what style! 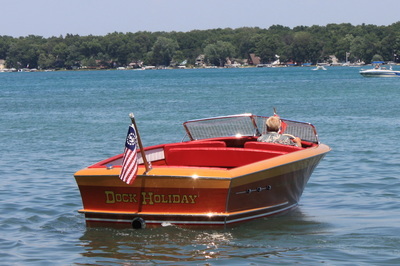 According to at least one authority, this design debuted in 1950 and was the first new Chris-Craft design after WWII to feature the bullnose bow. 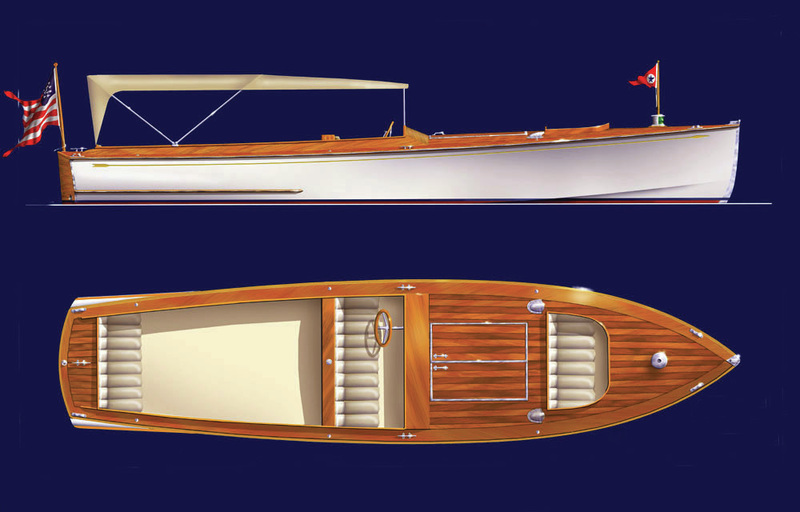 After the first 88 hulls were built, the reverse-raked transom (left) was discarded in favor of a more traditional positive rake (below). I don't know why they changed it - I always liked the reverse rake. ​I came across – and eventually acquired – Hull No. 13 but not before the only salvageable part of her left was her hardware. I recorded her shape in the hope of building a new hull some day and put the hardware away where I could find it should that day ever come. I still have it and still harbor thoughts of building her new again, either for myself or for a like-minded Owner. ​If you're that person, call or email me​ and we'll talk! 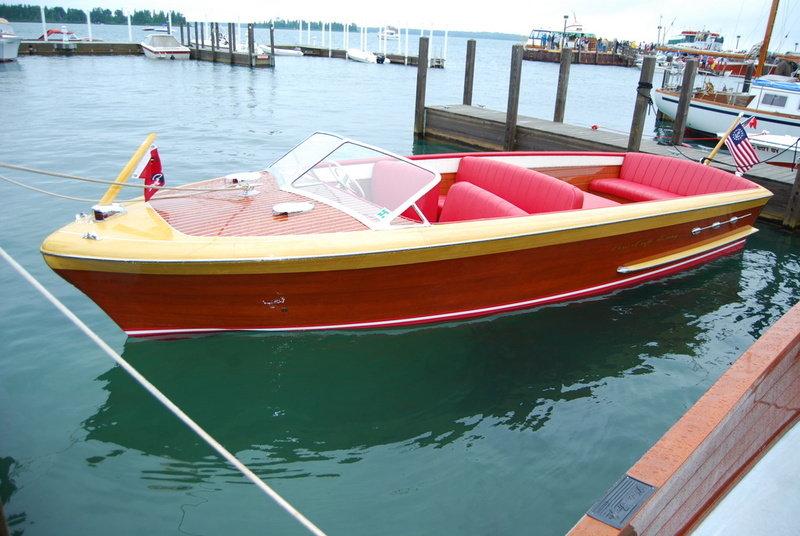 Theo Werner is a Dutch naval architect and designer who "saw" this little yacht in a '58 Vette. 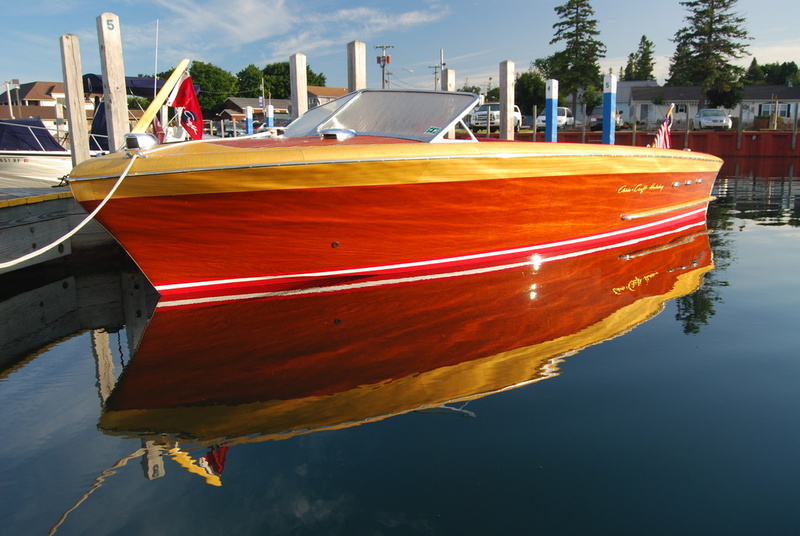 Taking his inspiration from the iconic car design, he created the perfect blend of the best of the 1950's American runabout and sports car designs. I think his vision was perfect on this one!